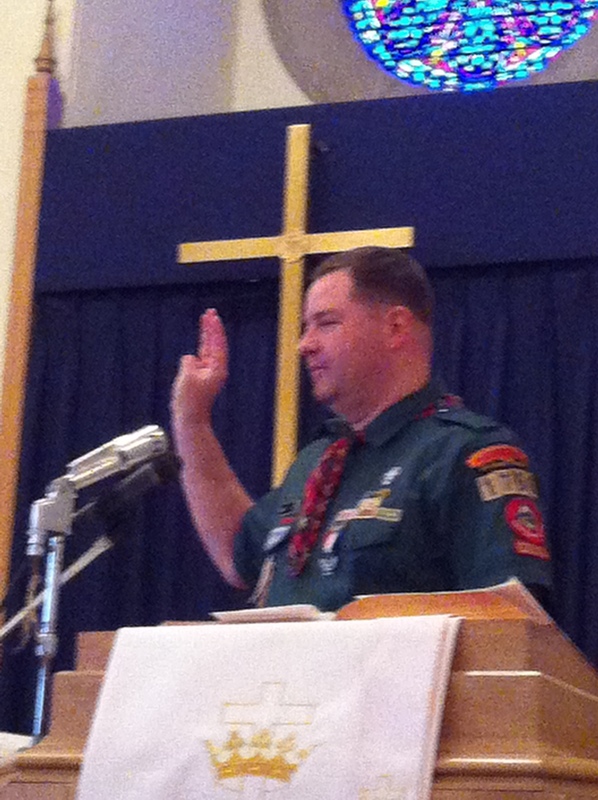 NOTICE TO TROOP 98… beginning April 30th, the Troop will begin meeting on Tuesday nights once again. 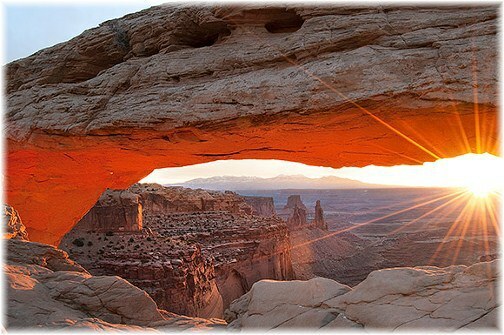 You will meet on Tuesdays until further notice. 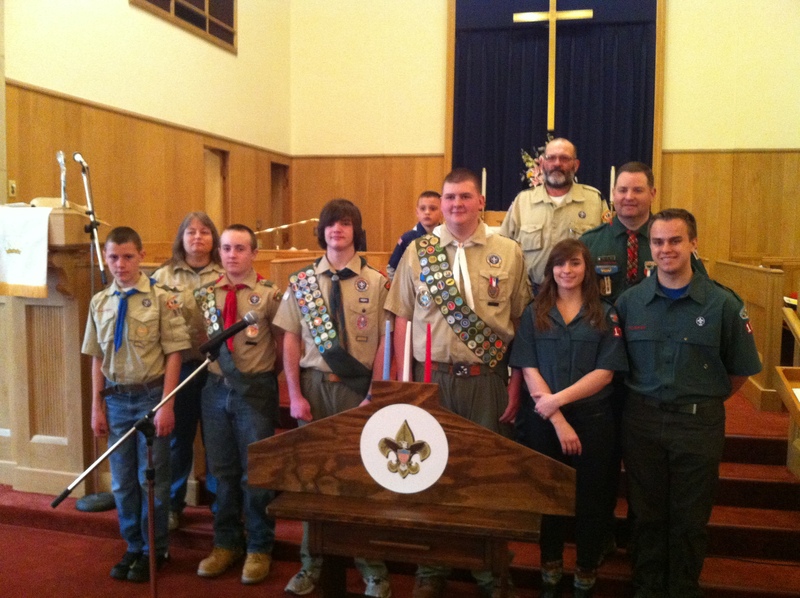 This page will feature news and pictures of our two scouting organizations that we sponsor: the Boy Scout Troop 98 and Adventure Scouting. 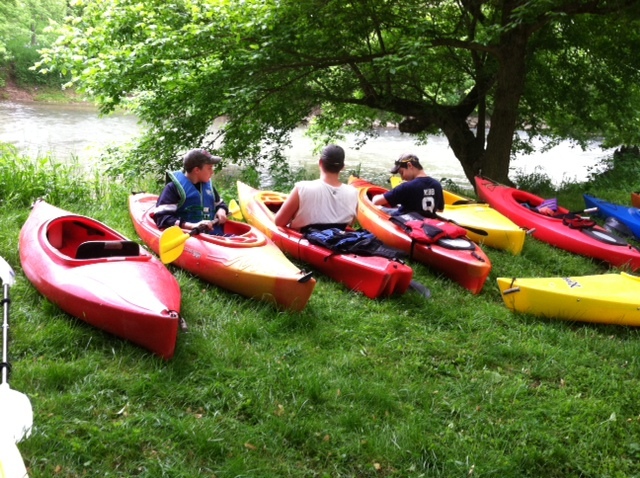 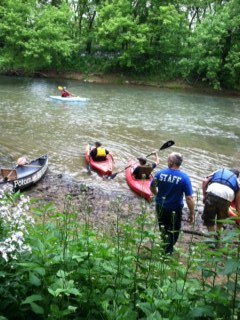 Garrett, Nate, and Mitchell testing out the kayaks before launch. 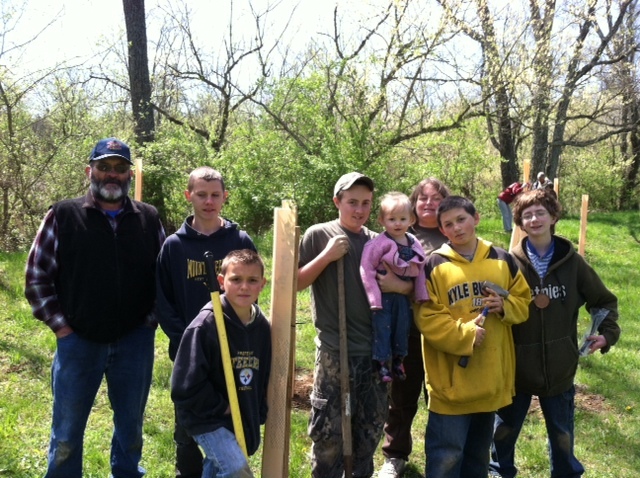 “Troop 98” Mr. Walter, Khris, Andrew, Garrett, Baileigh, Kelley, Carter, Sidney, helped plant 140 trees in Inwood along the Opequon Creek (April 20). 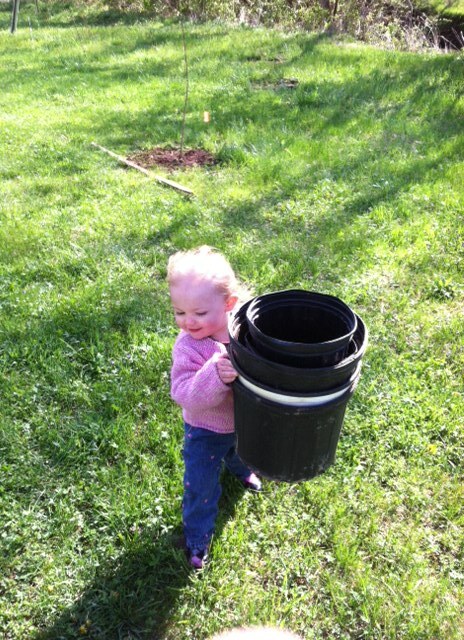 The youngest scout: “It’s never to early to start Community Service” 19 month old Baileigh helping collect the pots from the trees that were being planted. 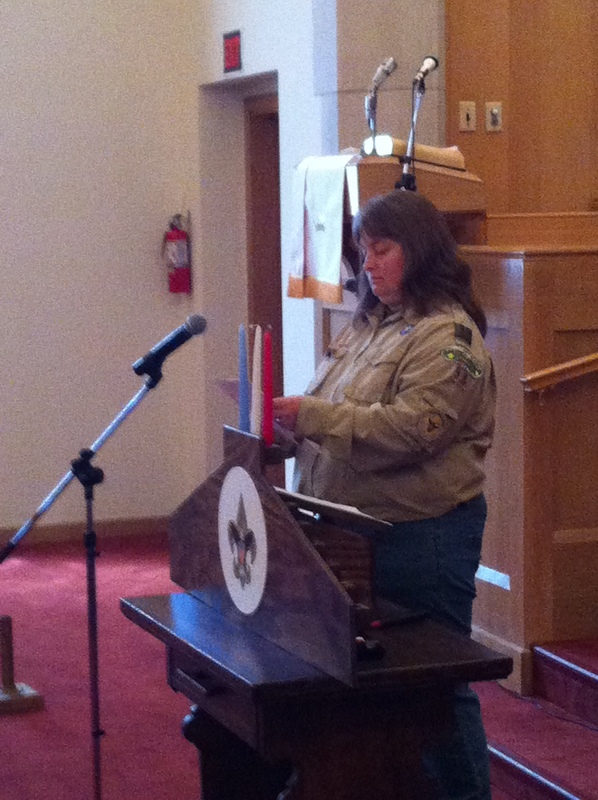 Scout Master Kelly King calls the ceremony to order. 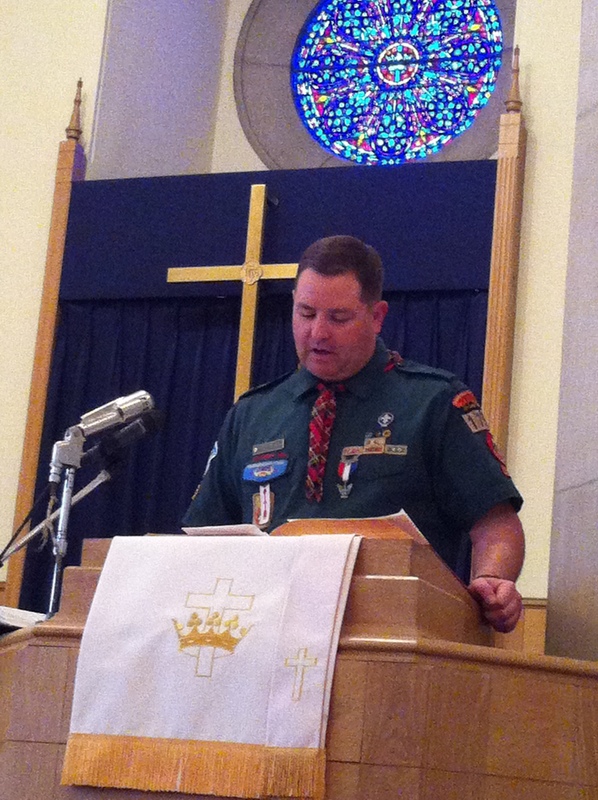 After the invocation by Pastor Ben Manning, we heard from our Master of Ceremonies, Troy Heck who introduced the program. 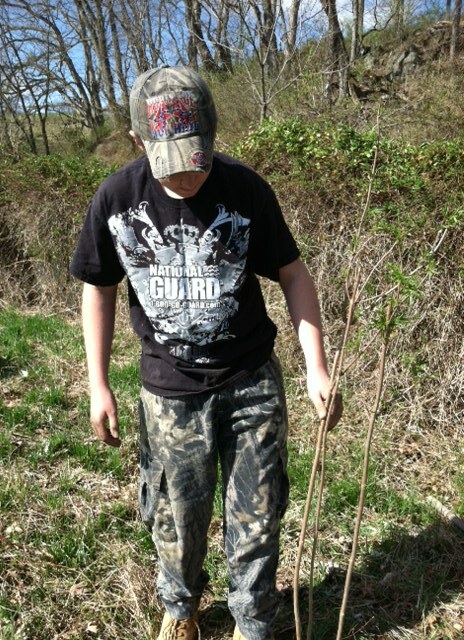 The Trail to Eagle, symbolically, included the lighting of three candles. 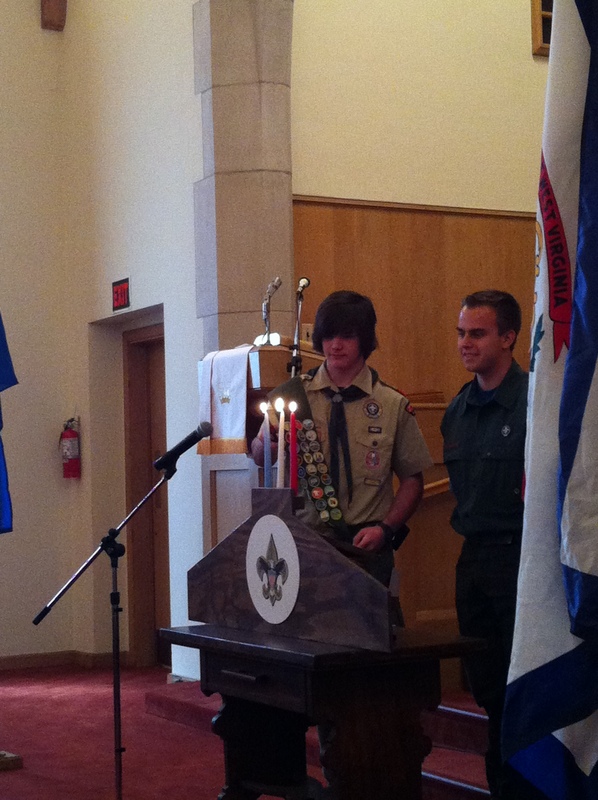 The Red, White and Blue candles were each lighted, symbolic of the colors of our American Flag. 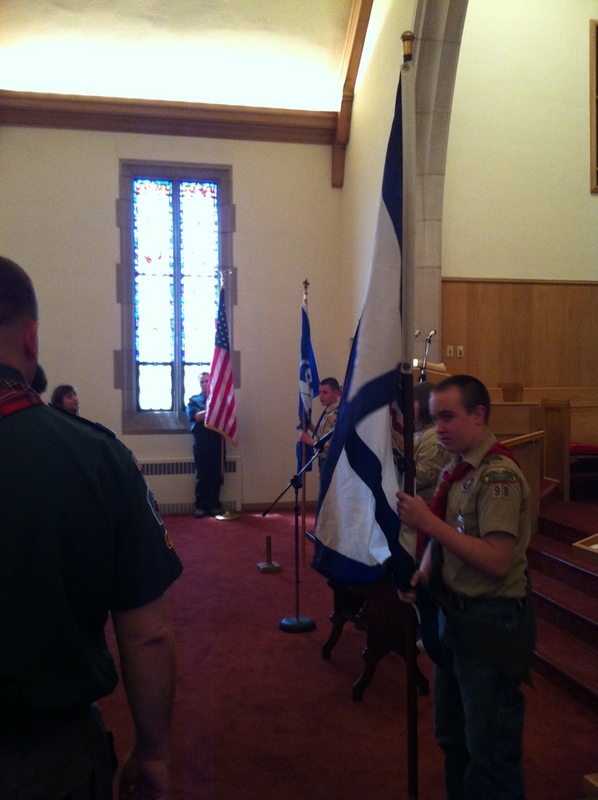 The meaning for each color was related and tied to scouting…. 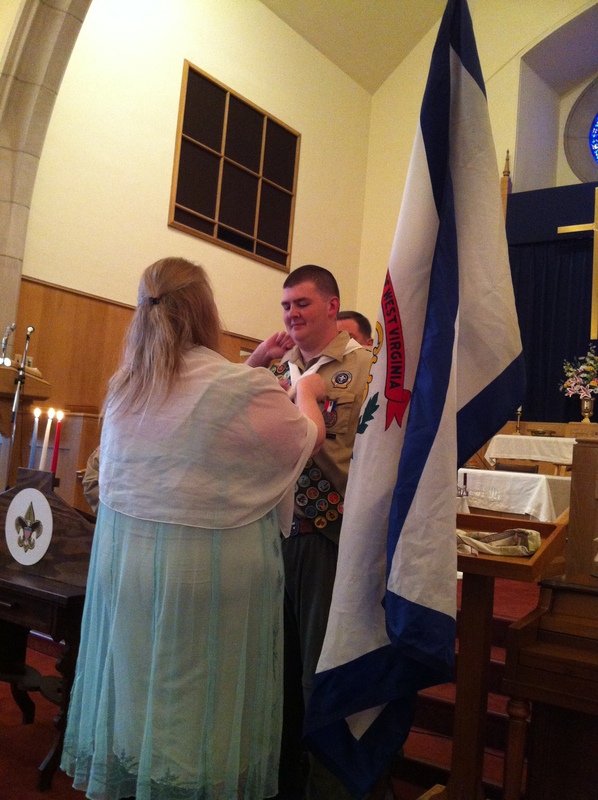 Troy and Mitchell’s mother presented and adjusted the white neck tie scarf. 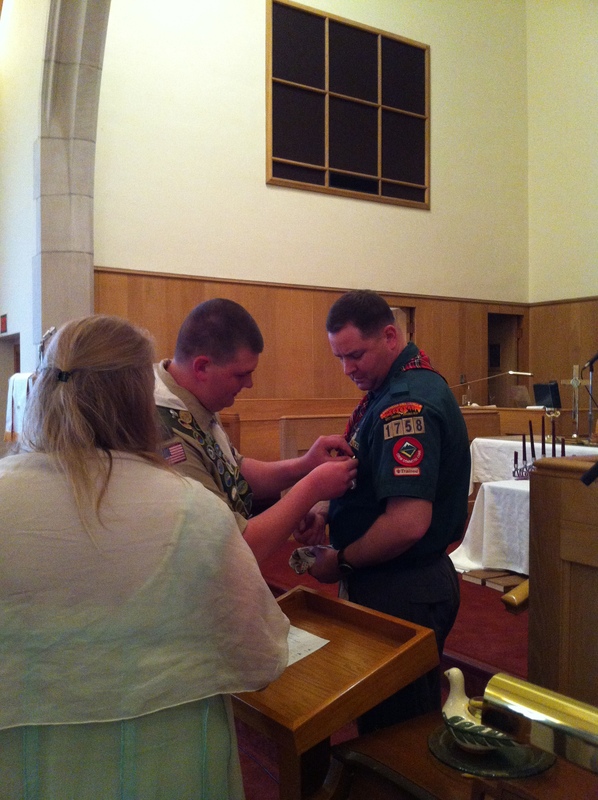 The awarding of the mentor and advisor’s pin to Troy Heck who assisted Mitchell along the way to becoming an Eagle Scout. 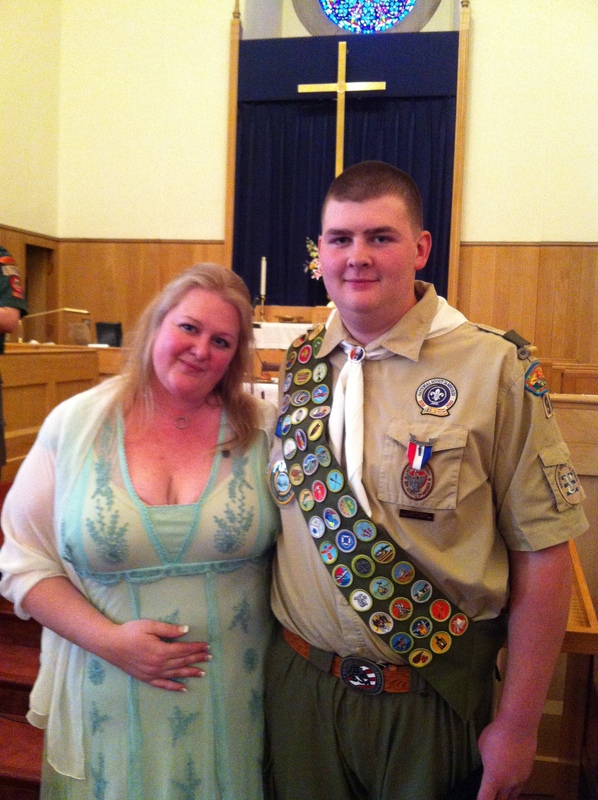 A proud mother and son, Mitchell AllenDyer, our newest Eagle Scout. 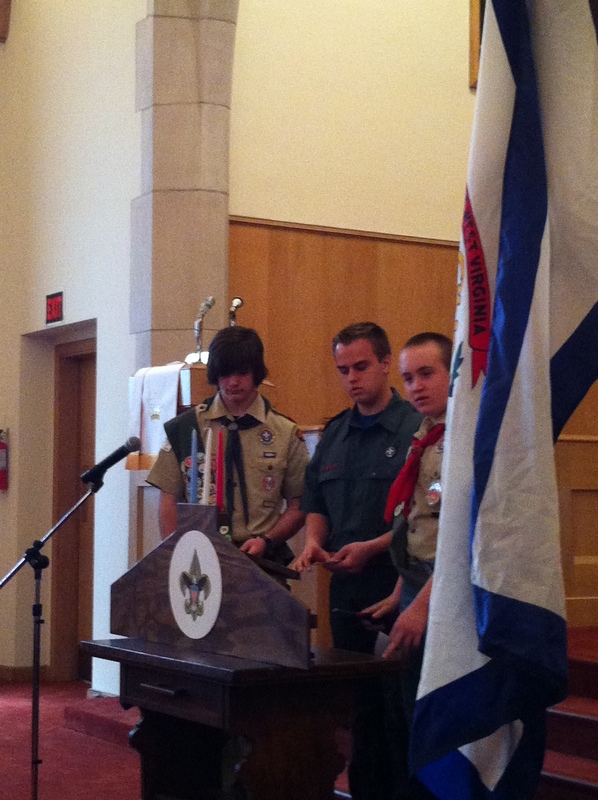 Boy Scouts from three Troops were present and participated in the ceremony. 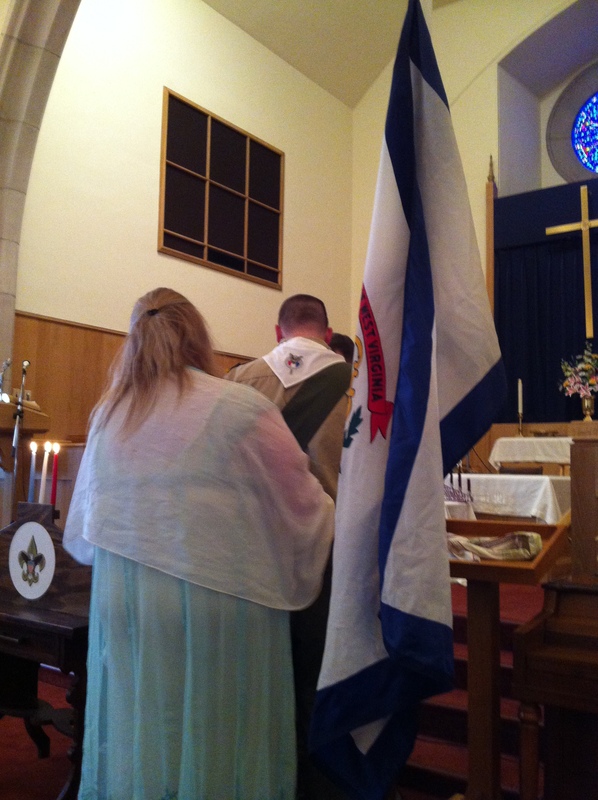 Following the ceremony there was a reception in Fellowship Hall. 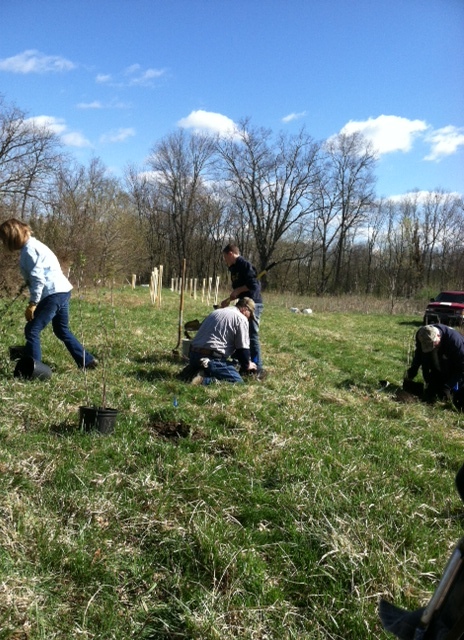 A wonderful spread of food was provided by family members. 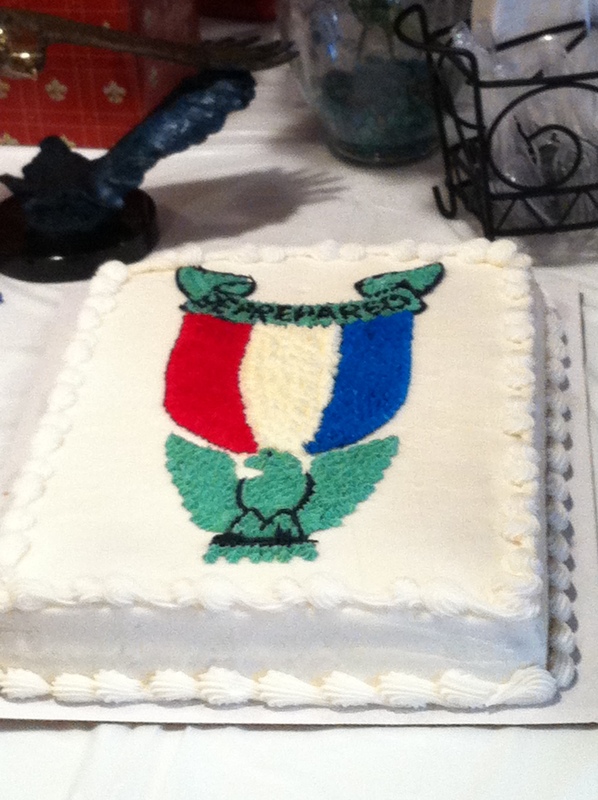 It included this cake which featured the emblem of the Eagle Scout pin and medal. 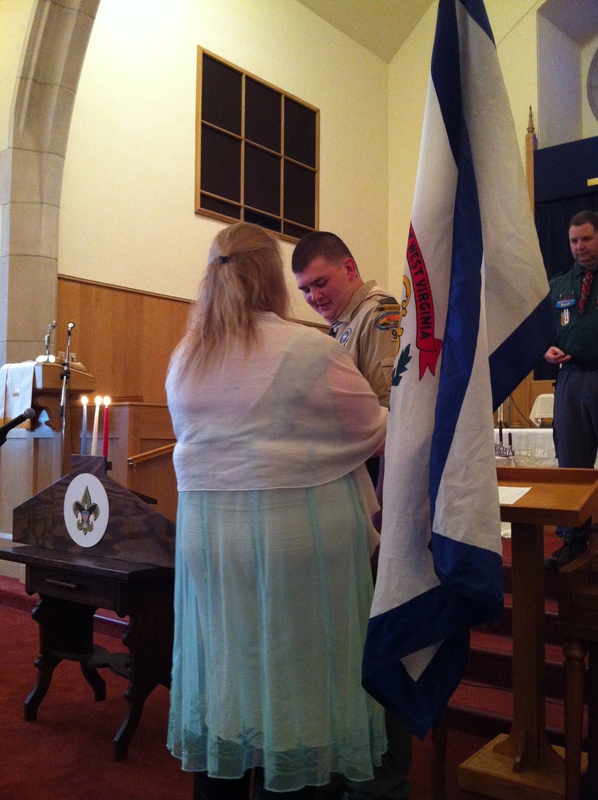 Our congratulations are extended to Mitchell Dyer, his family and the fellow Scouts and leaders who brought food to share at the reception. 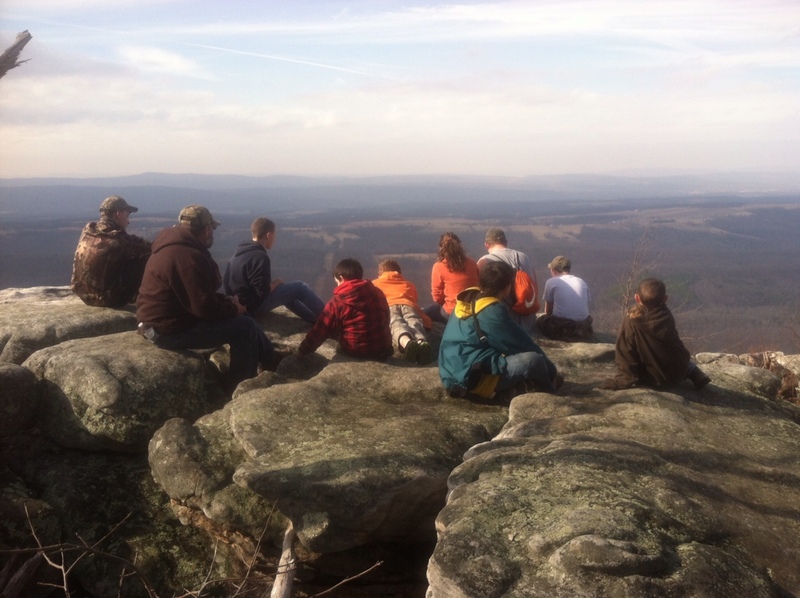 Boy Scout Troop 98 on top of Pinnacle at Camp Rock Enon — Photo submitted by Scoutmaster Kelly King. 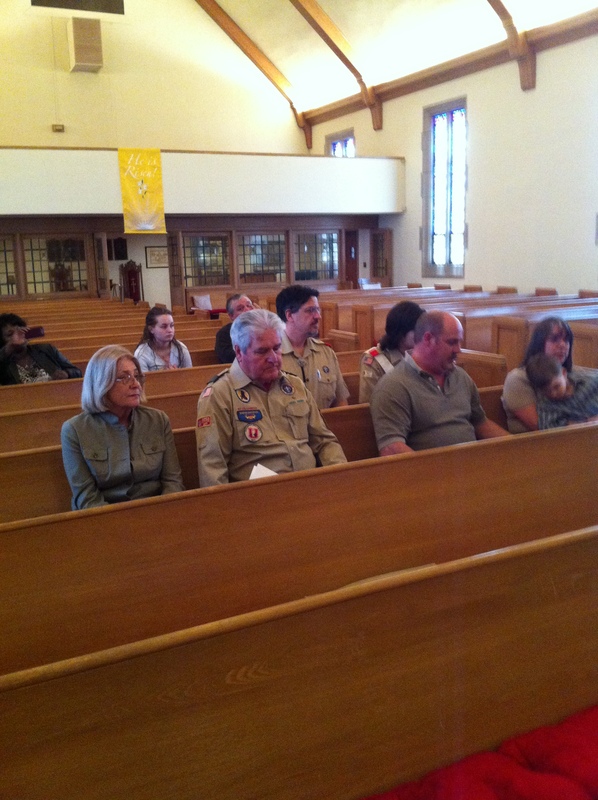 The Troop meets at WACC on Monday evenings.